Sally has updated my book space on her site to include the new cover and reviews. What a doll! Thanks Sally. 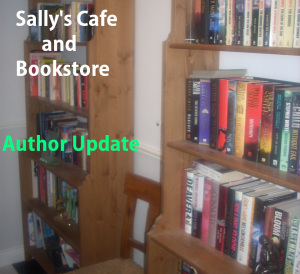 Welcome to the Friday edition of the author update for writers in the bookstore. 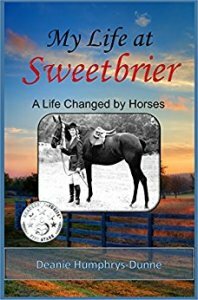 And the first author with an update is Deanie Humphrys-Dunne with her latest book – My Life at Sweetbriar: A Life Changed by Horses, an inspiring memoir that shares the story of how she overcame her disability with the help of her equine family. The book is already receiving wonderful reviews.